Many of the most exciting and memorable moments in the history of the NFL have come when the clock is ticking down and everything is on the line. It is when a team has its back against the wall that heroes are born and legends are made. 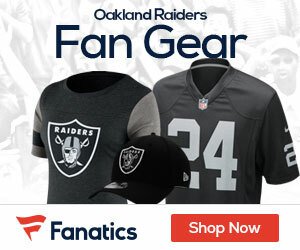 Now, Vivendi Entertainment, the National Football League (NFL) and NFL Films have come together to put fans on the edge of their seat once again with the release of Two Minutes to Glory on DVD and digital. Just in time for the playoff push, the DVD will hit stores on December 20th, 2011 for $19.97 SRP. 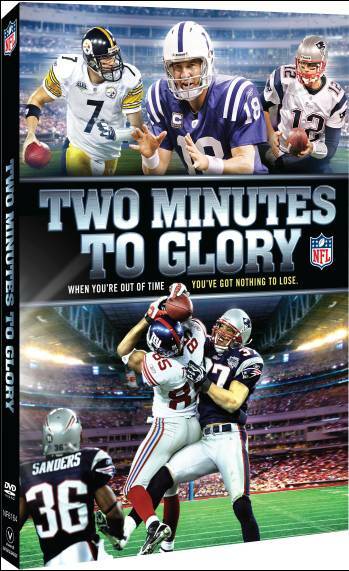 In this must-have DVD, fans will relive the chaotic euphoria that is the final two minutes of an NFL game. Packed with the emotion, the heartbreak and the triumph fans love to experience, Two Minutes to Glory will detail the thrilling stories of the greatest comebacks in NFL history and the legendary players who made them happen. Some of the greatest “two-minute” quarterbacks of all-time including John Elway, Peyton Manning, Joe Montana and Tom Brady will be profiled on this one of a kind DVD.